On Friday 18th April, during the night in the village of Madama, settlers from a nearby illegal settlement entered a Palestinian farm and sat fire to a newly built chicken house. 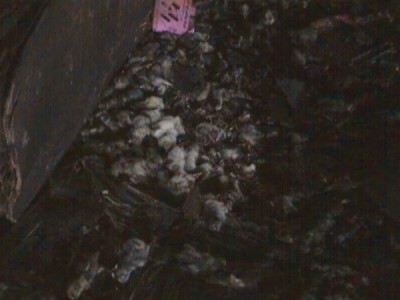 The damage totaled $12,500 for the 3,500 chickens and their food, as well as $100,000 for the building itself. The Palestinian owner of the chicken house sold his car and some of his land in order to buy this costly farm, it is now completely destroyed. 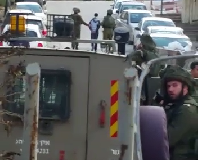 The farmer described the day this incident occurred, stating how he finished his work and went home, passing two Israeli military jeeps on the road. When he returned to the farm at 4am on Friday, he found his chicken farm burnt to the ground, all 3,500 chicks dead. The fire was started near a window of the farm, most likely started with gasoline. The owner said that he recently brought a lot of new chicks, and that he felt the attack was probably was planned. As a result of this attack the farmer now has no income. The village of Madama has been continually attacked by settlers from the nearby illegal settlement of Yizhar, as have the nearby villages of Burin and Assira. In Madama, the settlers have recently burned several cars, two houses, and several olive trees; vandalism on Palestinian property is unfortunately common. 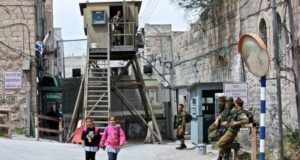 The illegal settlement of Yizhar is notorious for its violent settlers, in 2011, the Office for the Coordination of Humanitarian Affairs (OCHA) recorded the largest number of attacks against Palestinians from this settlement.